If you already have a heat pump, you know that these handy pieces of equipment help maintain a comfortable indoor temperature for your family year-round. Heat pumps circulate warm air both into and out of your house. During the summer, your heat pump forces warm air out of your house; in the winter, it brings warm air into your house. It’s a simple but brilliant design, and your home deserves the best heat pump repair and installation to keep you comfortable and safe. Wilson’s heat pump repair and maintenance professionals are able to troubleshoot and fix any heat pump make or model. We will tell you what the problem is, fix the problem, and answer any questions you might have along the way. We can also provide the preventative maintenance needed to keep your heat pump performing at its best. 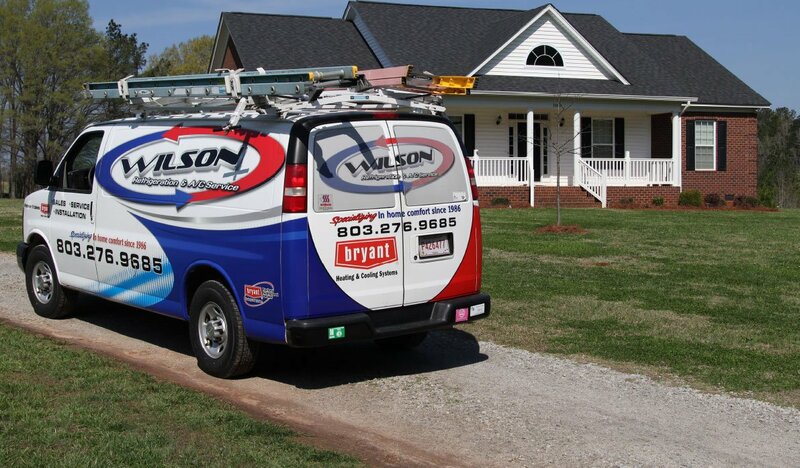 You’ll understand why your friends and neighbors trust Wilson’s for prompt, affordable, and reliable HVAC repairs. Customer satisfaction really is our central focus. If you’re looking for a way to drastically cut down your utility bill, heat pump installation may be for you. Utilizing steady temperatures already present in our environment, heat pumps are one of the most efficient methods to heat and cool your home. Across the Midlands, heat pumps are rising quickly in popularity due to their affordable cost and efficient work performance. Efficiency. Heat pumps are extremely efficient. Switching from an electric furnace to a heat pump can save you 30-40% off your current heating expenses. Dehumidifying. Heat pumps do a better job of dehumidifying the home than traditional air conditioners. Reducing the moisture in your home during our hot, muggy South Carolina summers will make your home feel cooler at higher temperatures, saving you money on your cooling costs. You don’t need ducts. A mini-split heat pump system works by pairing an outdoor unit with several indoor units to disperse or collect warm air throughout the home. If your home was constructed without ducts or if you have a ductless addition, this system can efficiently heat and cool spaces within your home without the need to install air ducts. It can heat your water. Many high-efficiency heat pumps come equipped with a desuperheater. This device recovers heat from the heat pump’s cooling cycle and uses it to heat your water. A desuperheater can create hot water for your home at less than half the cost of running a traditional water heater. You could get money back. 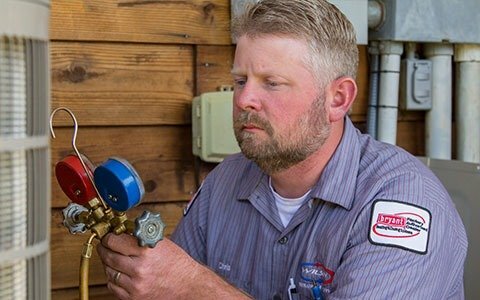 Tax incentives and rebates can add up to a big chunk of change coming back to you as an incentive for installing highly efficient HVAC equipment, including heat pumps. With nearly three decades of climate control experience, we know which products will work best for your specific heat pump repairs and maintenance requirements. As a Bryant Factory Authorized Dealer, we are able to pair you with the proper heat pump model and provide you with top-notch installation and maintenance services. 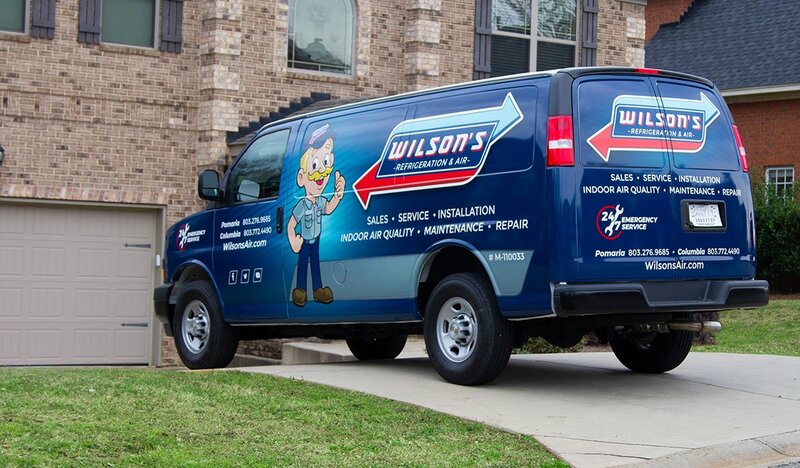 For neighborly and expert heat pump repair from professionals you can trust, contact Wilson’s Refrigeration and Air today.